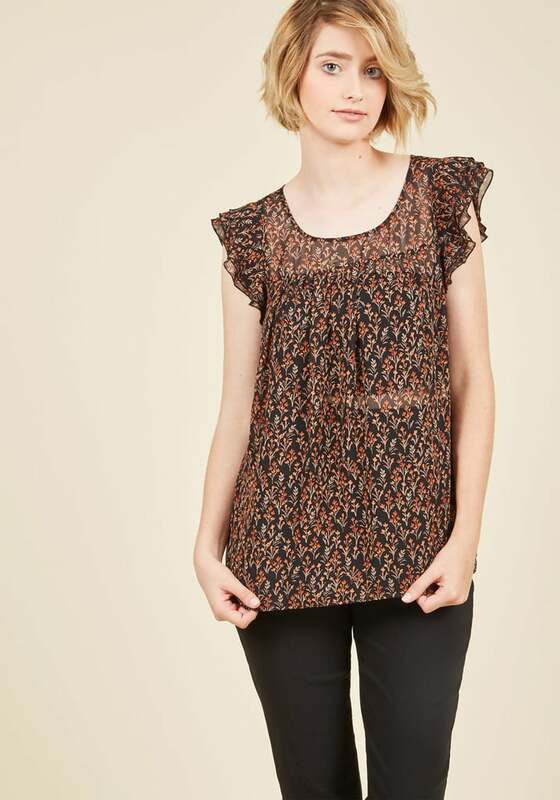 We've partnered with ModCloth to help you put your own personal touch on Fall's hottest trends. We're calling it now: overalls combined with ruffled blouses and embellished boots are going to reign supreme this season. The one-piece has proven to be a wardrobe mainstay time after time thanks to its ease and wearability, and this Fall is no different. But this time around, we're challenging you to switch things up. Instead of rocking your usual denim overalls with a flirty white top and your trusty leather ankle boots like the next girl, take it one step further by choosing rich textures and mixing prints for your own unique spin. Click through to see how to update this go-to outfit formula for the months ahead. Trade in your typical denim overalls for an unexpected corduroy pair in a rich jewel tone — forest shades specifically are big for Fall. For an ultraflattering effect, choose a pair that hugs your figure and hits right at the waist, as opposed to lower down on your hip. Opt for a patterned version of your favorite flirty top to pair with the overalls. The breezy texture of this one balances out nicely with the heavier texture of the overalls, while the delicate floral print in moody hues adds a nice Autumn touch. 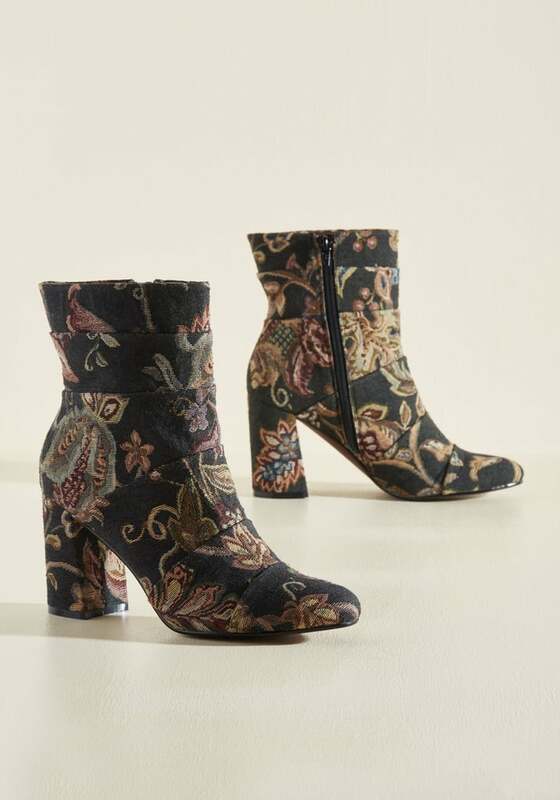 Bring in an additional layer of pattern with a pair of vintage-inspired brocade boots. It's a bold move, but one that will make your look stand out. By sticking to a classic block-heel silhouette and ensuring the colors mirror those on the blouse, your outfit will look streamlined as opposed to busy. 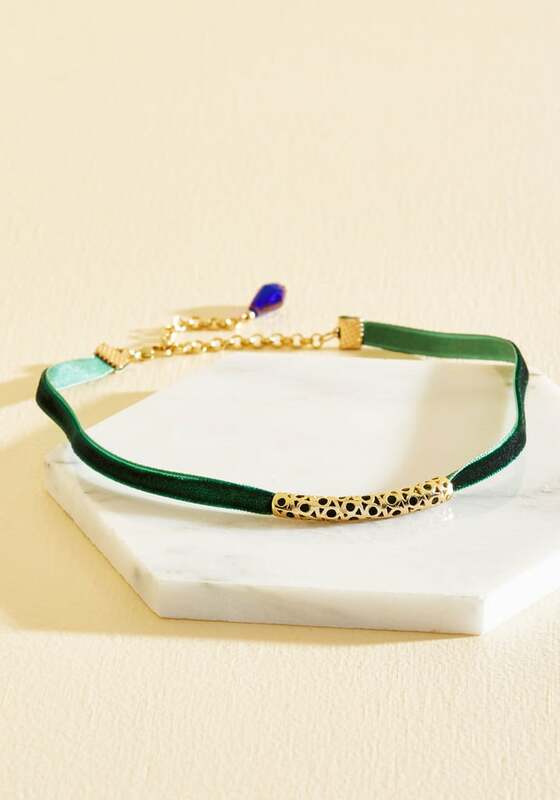 Finally, finish off your look with a delicate, on-trend choker. The hunter-green hue ties back into the overalls, while the filigree accent adds a luxe touch. Shop these looks and more at ModCloth.com.